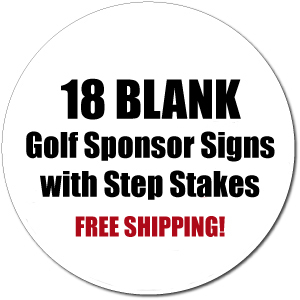 18" Round Blank Golf Sponsor Signs Incudes Stakes and FREE SHIPPING! Buy more and save! Qty discounts on kits apply to this item.